Taking the FlexoLED F01 Series to an extreme level is this Mega Bright Warm White Flexible Tri LED Colour Strip. 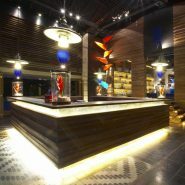 Each metre of this strip contains 60 LEDs with three Warm White chips in each (total: 180/1m). This Mega Bright colour strip has an IP-54 rated protective resin coating and gives a bright constant smooth effect and can be fitted where a continuous linear halo of light is required. 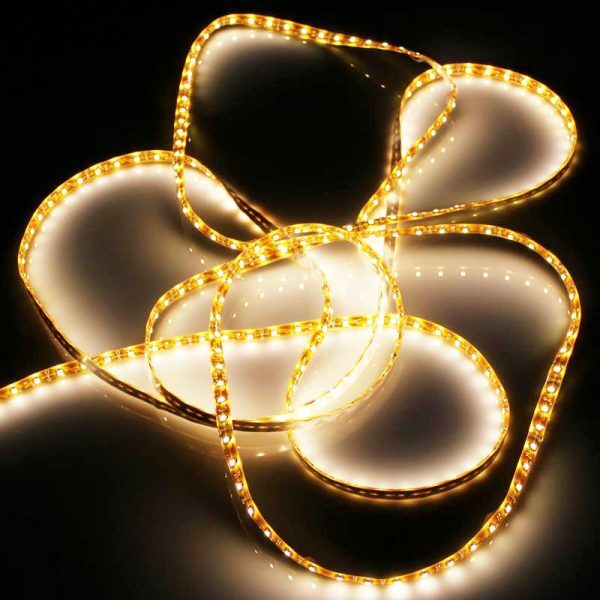 This LED strip can be cut at every 3 LEDs (50mm) and are a 12V system.